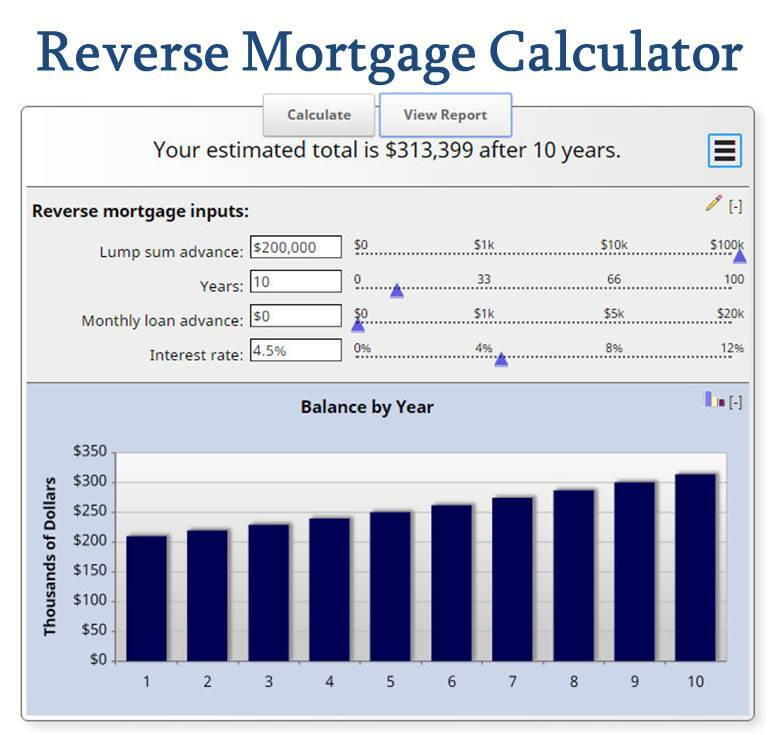 Use this Reverse Mortgage Calculator to help determine if a reverse mortgage is right for you. See how the balance of a reverse mortgage increases over time. Calculate how taking varying monthly advances compare to different initial lump sums to determine what works best for you. You may email the results by clicking on the three-line icon in the upper right hand corner. Discover other mortgage calculators.